Want to make your next math exam a lot easier? Or open up a huge range of careers, from engineering and science to statistics and architecture? Take this free Math course. In just a few hours, this course will give you a strong knowledge of some of the most important basic mathematical principles, from integers and ratios to polynomials and functions, so that you can expand your career opportunities and get through your next math exam with ease. The course will first guide you through important areas of Mathematics such as integers and one-step equations. You will then learn about inequalities, graphs, and functions. Basic but important Math principles including percentages and probabilities with then be laid out in simple language. You will also get an introduction to geometry, circle graphs, angles, parallel lines, and right-angled triangles, so that a wide range of future Math lessons will be easier for you. In this section you will also be shown how to measure the area and volume of shapes such as pyramids, prisms, cylinders and cones. Next, you will learn how to evaluate expressions and identify properties. The course will then guide you through the meaning and calculation of a coordinate system, ordered pairs, and absolute values. Finally, you’ll get an introduction to some more advanced material, such as polynomials, binomials and factorisation, so that you will be more than ready for your future education in Math. To make everything as clear as possible (we know Math can be difficult) each lesson will include theory, examples, and video lessons. 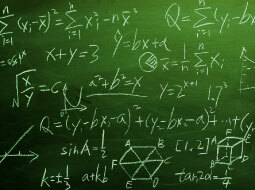 By the end of this course, you will have gained Math skills that can open up a range of careers. You’ll also be much more able to get excellent grades in your next Math exam. Math skills are in great demand from employers around the world, and almost every student needs them. Despite this, very few people have strong Math skills. With this free course, and less than 5 hours of work, you’ll be standing above the crowd. So why wait?! Make Math easier, today. Upon completion of this course you will know how to apply operations in the right order, evaluate expressions and identify properties. You will understand the meaning and calculation of a coordinate system, ordered pairs, inequalities, absolute values and how to solve equations in different ways. You will be able to add, subtract, multiply and divide integers. You will know polynomials, binomials and factorisation. You will gain a good knowledge of arithmetic such as integers, rational numbers, geometric sequences of numbers, and scientific notation. You will be able to calculate the circumference of a circle. You will know different ways that you can represent graphs and functions. You will gain knowledge of ratios and percentages. You will have an understanding of probability and statistics such as mean, median, mode and much more. You will gain a good knowledge of geometry including circle graphs, angles, parallel lines, triangles, quadrilaterals, polygons and transformations. You will be able to measure the area and volume of shapes such as pyramids, prisms, cylinders and cones.